My favorite kind of recipes are the ones that make me forget that I'm doing a round of Whole30, or even eating clean for that matter. They take real food ingredients & make them taste delicious and satisfying. Cleaned up comfort food, I guess! And there are few things more tasty than some hot, crispy fries that have just been salted- am I right!? Find something delicious & nutritious to dip them in- maybe a dairy free ranch dressing or a sugar free ketchup (or this amazing dip I have coming to the blog soon...) and you're all set! These are any easy side dish that hardly require a recipe. Season to your liking, drizzle with some avocado oil (my favorite flavor & awesome for roasting), bake to perfection, & enjoy! With the Super Bowl upon us, how good would a big tray of these be for your guests!? They won't know they're eating clean, and you can enjoy right along with them! And if you're just looking for a weeknight addition to your dinner plate, easy! Serve these up with some lettuce-wrapped burgers & caramelized onions, or grilled BBQ chicken & broccoli apple slaw. I like these extra crispy so I leave mine in for a few extra minutes at the end. But keep an eye on them & bake them to your liking! 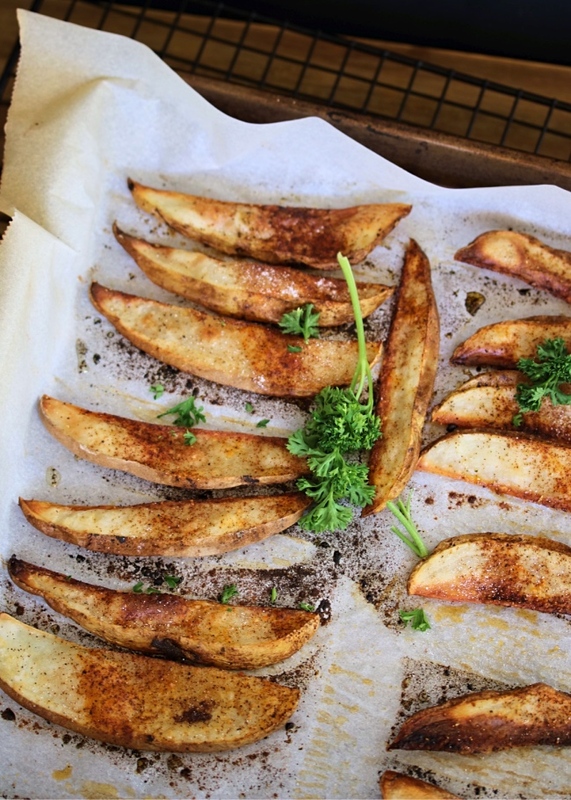 You can't really go wrong with these seasoned wedges. 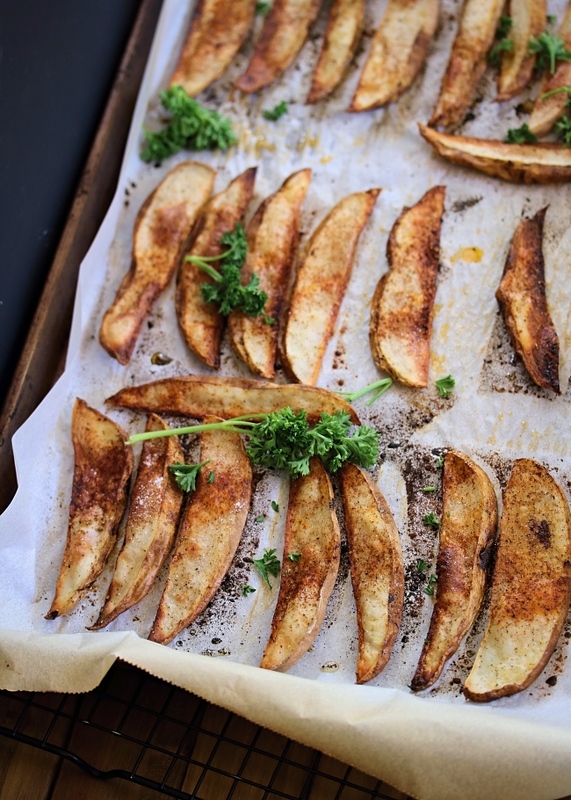 Slice the potatoes into wedges up to 1/4" thick. Lay them out on the parchment lined baking sheet, flat and not touching one another. 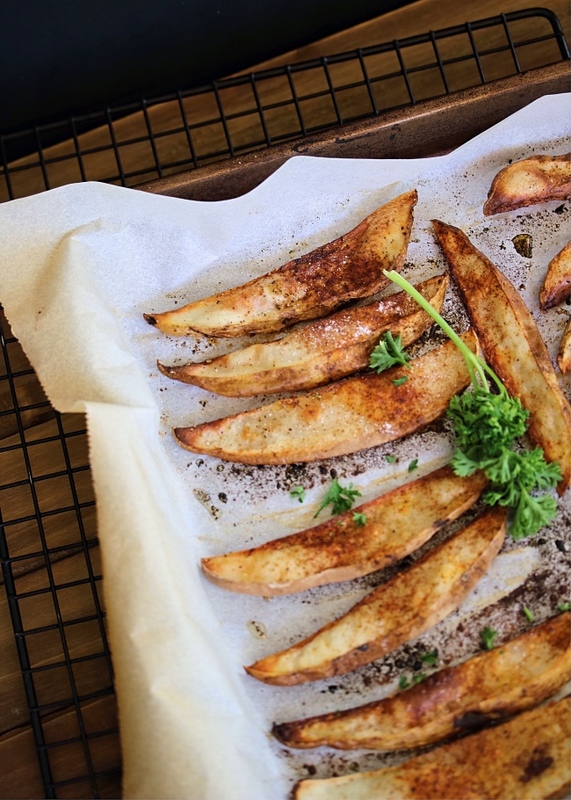 Drizzle the wedges with a light coat of avocado oil. 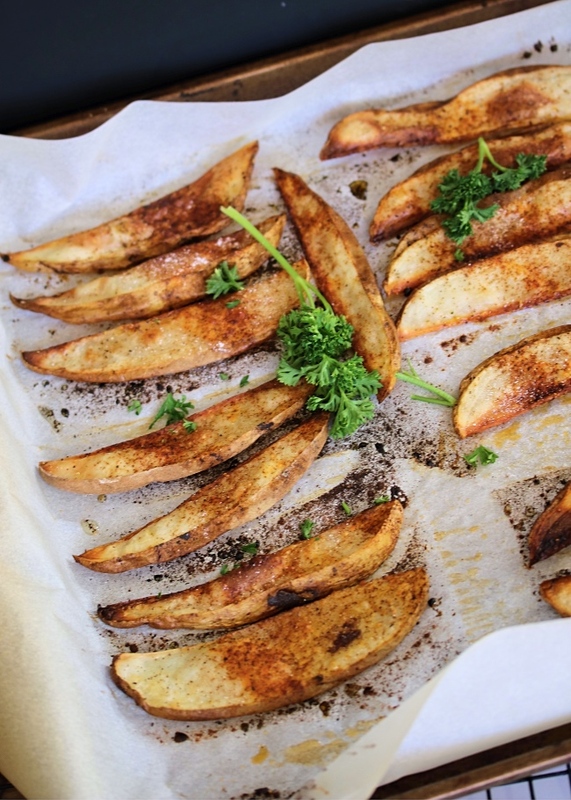 Transfer to the oven & bake for 30 to 35 minutes, maybe more depending on your oven & how crispy you want your wedges! Add an extra sprinkle of sea salt, & serve hot! You can substitute sweet potatoes or Japanese sweet potatoes in this recipe if you prefer them over russet. Try mixing up your spices for different flavor combos: cinnamon-chili, ranch, paprika chive, etc!